There are many systems in betting which can be used particularly easily on a roulette wheel. Due to the different types of bets you can place at a wide range of odds. 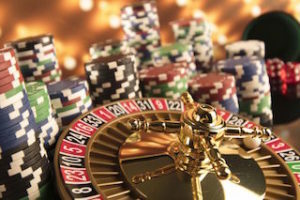 Many systems use even money bets as the basis, and as such, players will usually bet on red or black to use the system. However, the Lucky Numbers betting system takes an entirely different approach, as you’ll be betting on an individual number. 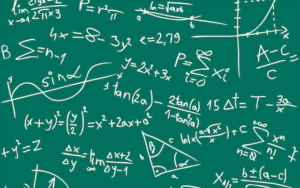 The System: How does the system work and why is it a high-risk strategy? 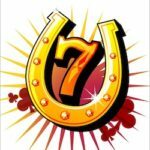 How Does the Lucky Numbers Betting System Work? Warning: This is a very high-risk roulette betting strategy. Using the Lucky Numbers way of betting could cost a lot of money very easily. You will need a bankroll many times your initial stake. However, with this warning out of the way, this system is actually very simple. Let’s take a closer look. Take your pick: You’ll start by picking a lucky number. This can be any number on the roulette wheel -maybe your birthday, an anniversary or a some completely random choice. Place a bet: Having chosen your number, you’ll place a 1 unit bet on this number at the wheel. If you win: Great! You’ve just won 35 times your stake. If you lose: However if it loses, you’ll place another bet on the same number, this time for 2x your stake. If you keep going: If the bet loses again, you’ll place a bet for 3x stake, and you’ll continue in this fashion until you win. Calculate Your Profit/Loss: Here is an example of the lucky numbers betting system in action. Using this system, you’ll increase the stake every time you play roulette. So the longer you play without actually hitting your number, the bigger your win will be on that spin. However, you’ll reach a point where the size of the win is actually the same size as your overall losses. 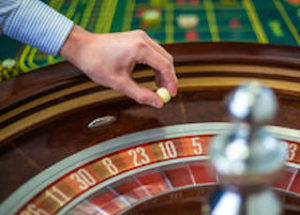 After 70 roulette spins without hitting your number, you’ll have lost 2,485 betting units. If you hit your lucky number on the 71st spin, you’ll win exactly 2,485 betting units, which makes the 71st spin the breakeven point. Important: To actually make a profit with this roulette betting system, you’ll need to hit your lucky number on one of the first 70 spins. On a European roulette wheel (single zero), the chances of hitting in those 70 spins are 85.31%. On an American Roulette wheel (double zero) is 84.54%. Your maximum profit will come if you actually hit your number on the 35th or the 36th spin, with a profit of 630 units. Winning: Make sure to check out our Roulette Payouts & Odds page for more information on betting profits. The biggest advantage to this betting system is that you are much more likely to make a profit than to not make a profit. As you can see from the figures above, you’ll win five times more often than you’ll lose, and the profit will be sizable. To some, the excitement and the tension associated with this system will be an advantage, this system will certainly get the adrenaline going, and there’ll be a moment of huge joy when (if!) the winning number hits. Another advantage is that you might have a lot more table time than when using another system. However, if the table time is too long you might live to regret it. When using this system you’ll need many times your original starting stake. If you do want to take it all the way to the break-even 70th spin, you’ll need 2,485x your starting bet, and this will continue to rise as you carry on. At this point, you’ll still have no guarantee of winning anytime soon and even if you do hit your number, you’ll still make an overall loss. So although you’ll make a loss only one time in six (approximately) the loss will be much, much heavier than any gain you have made. Important: The maximum win with this system is 630 units, but there is no maximum loss amount. This is a system for the roulette player with a huge bankroll. To enjoy 10 spins will cost you 55 units, 20 spins will cost 210 units and 50 set you back 1,275 units. If you are playing at a table with a $5 minimum, that is a lot of cash. It’s not a system I would advise unless you have just won a sizable amount on the lottery and want to have a little fun.